It’s confession time again. I am addicted to Big Dreams, Small Spaces with “Britain’s favourite gardener” Monty Don. He has inspired me to get out into the garden early this year and encourage others in the Mustard Seed House to get out there with me. He has inspired me to think big but work on one small project at a time. He has encouraged me to reimagine a garden transformed and work slowly to see it happen. We have a new set of grow lights set up in the garden room and have already started lettuce and spinach and Asian greens. Outside I have been filling my pots with primroses to add a splash of colour to the winter landscape. More than anything I have been dreaming. As we plant we do not imagine a field of hidden seeds, we dream of beds full of lettuce, spinach, Chinese greens and arugula. I found myself imagining far more than the small beds that will be filled with our seedlings. Inspired by the gardens I have seen transformed by Monty Don’s advice, I dream of new water fountains, winding paths lined with beautiful borders and a garden no longer overgrown and randomly planted. Keep it simply he reminds me. Don’t try to put everything into your garden. Mustard Seed House member Dan has encouraged me to draw up a 5 year plan. Great advice. If I don’t dream about what the garden could become I will never work towards that goal and the mess of weeds and unkempt plants will never be transformed. I look over the whole of my garden and dream of what it could look like in a couple of months, next year, and in five years time. My hope is for a diversity of healthy flourishing plants alive with splashes of red and yellow and purple flowers. I imagine the bees flitting from flower to flower laden with pollen. And in the vegetable garden not just greens but broccoli and cabbages, tomatoes and zucchini, potatoes and onions and an abundance of berries and fruit forming on the fruit trees. The garden of God’s world is the same. I plant seed, seeds of love and compassion and generosity and dream of gardens of abundance and caring where all God’s people flourish. If we don’t dream of what a world made new could look like we will never see it transformed. And God has an amazing vision for the future: a vision of Shalom and Wholeness. Dream big and infuse others with the dream. I love to share my garden dreams, recruit helpers to work alongside me and then share generously of the abundant harvest. Working alone in the garden or in God’s broken world is backbreaking and often discouraging. We need a clear vision of what God is wanting to accomplish – a vision of flourishing and justice and freedom; a vision where all God’s creatures are provided for and live together in unity and harmony. Then I need to share that vision and work towards it. We are created for community not just for fun and fellowship but also for work. We need friends and colleagues to share our part of God’s vision and help us fulfill it. Plan well but keep it simple. There are two stages to planning a flourishing garden. In the dead of winter, when the earth is still too cold and hard to till I get out my seed catalogues and think about what I want to grow. I remind myself of what flourished last year and what didn’t. I try to work out why and do some reorganizing based on my results. When I can finally get out into the garden there is still more planning to do. I figure out what has died and why, what needs pruning or moving and what needs to be fertilized to thrive. If I want to harvest abundant fruit in God’s garden I must do the same type of preparation. How do I plan for justice and generosity and freedom? What hindered my efforts in the past and how do I need to change my plans to be more successful in the future? Plant lots of seeds. I always plant far more seeds than can possibly fit in my garden space. Some of them I give away, some of them get eaten by slugs, others get thinned out later in the season so that the remaining plants can flourish. Sometimes our efforts in God’s garden don’t produce a harvest because we have sown too sparsely, or the wrong kinds of seeds, or in the wrong places. Paul reminds us in 2 Corinthians 9:6 that: Whoever sows sparingly will also reap sparingly, and whoever sows generously will also reap generously. Sometimes we don’t spread our seed that can produce justice and freedom far enough. Or perhaps we limit our sowing to one kind of seed, a type that is not thrive in the soil. At other times we have not prepared the soil adequately and weeds outstrip our seedlings, choking them and limiting the harvest. Fertilize well, water appropriately. The number one rule of organic gardening, as I shared in this post is “build up the soil”. All seed has the potential for a good harvest if we build up the soil properly. And what is the best fertilizer – compost – garbage that can be transformed to gold. Sometimes I wonder if we don’t see the harvests of freedom, compassion and abundance God intends, because we fail to build up the soil or because we build it up with the wrong fertilizer. What is the garbage in our lives that God wants to use as fertilizer for a rich harvest of justice and righteousness? When the garden doesn’t produce a harvest know how to give it a second chance. Our God is a God of second chances. I was made very aware of that at church on Sunday as our preacher spoke about Jesus parable of the unproductive fig tree in Luke 13:1-9. I had never noticed before that this story is part of a sermon on repentance. Something is wrong with the tree. There is no fruit. But the solution is not to get rid of it. The gardener gives it a second chance. He works on the soil around it, tilling it, pruning it and fertilizing it. Jesus gives us second chances too every time we fail to act justly and lovingly. He raises our awareness of the wrongness within us and our society, calls us to repentance and fertilizes the “soil” around us so that we can be changed and learn to respond in a way that will once more produce abundant fruit. What are the places in your life that are no longer fruitful? 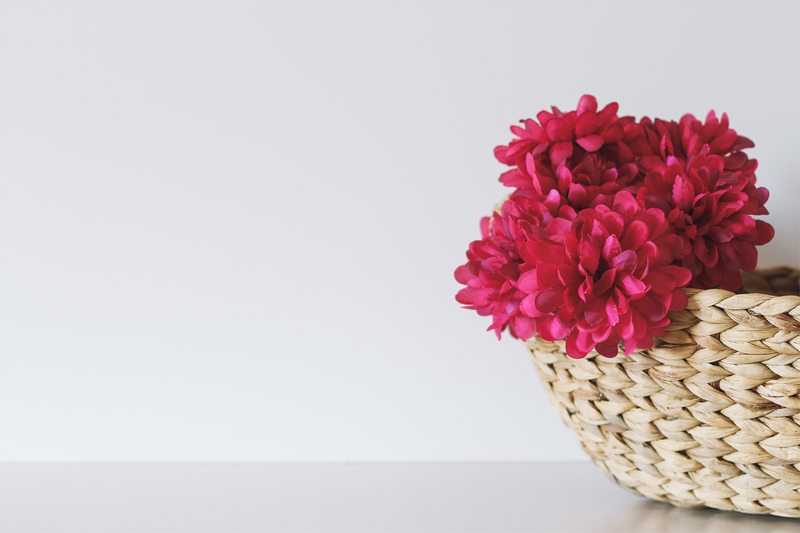 How is Jesus working to fertilize you so that these may once more produce abundant fruit? This is God’s vision for the future. What seeds of peace and prosperity have you planted in the lives of others or in our broken world that you long to see bear fruit? How could you nurture these seeds so that they produce an abundant harvest? It’s interesting that most Christians miss that in spite of the failure of Eden, God never gives up on trying to get his people to a (the) garden. Lovely piece! Thanks Bill. I think we lose sight of the fact that the image of God’s new world in Revelation is of a garden city. 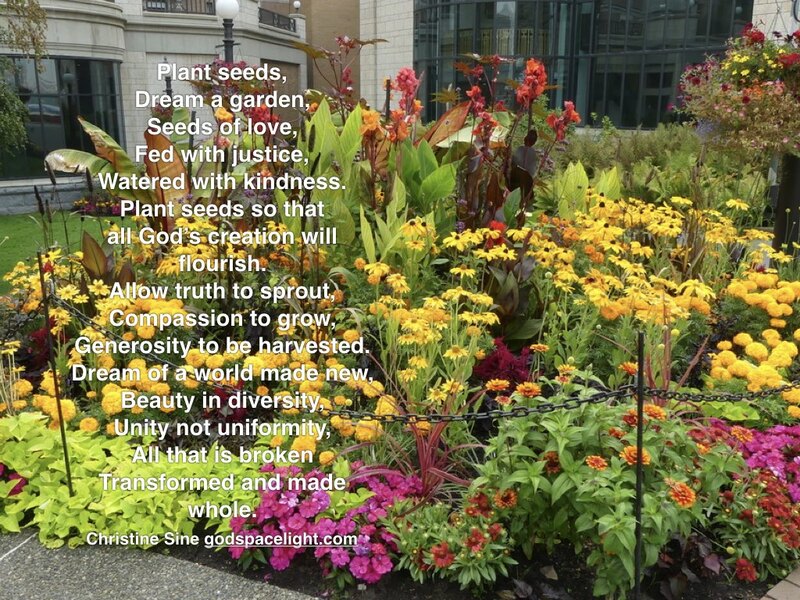 God is working towards restoring not just us but the beauty of the garden and our connection to it.